[코스인코리아닷컴 송아민 기자] 미소월(대표 전혜지)의 ‘레모나 비타테라피 마스크’가 2019년 파워 브랜드 마스크 부문에 선정됐다. 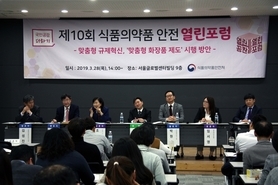 '아름답고 어린 달'이라는 뜻의 ‘미소월’은 열정과 꿈을 이루기 위해 노력하며 사는 사람들의 모습이 만월이 되기 전의 달이 보름달이 돼 가는 과정과 닮았다는 점에 착안해 만들어진 이름의 회사로 일상이 자신만의 아름다움으로 가득 채워지는 순간을 선사하고 싶다는 바람을 담았다. 널리 알려진 비타민제와의 제휴를 통해 탄생한 ‘레모나 비타테라피 마스크’는 비타민C의 산화작용을 방지하기 위해 비타민C 유도체와 자연유래 추출물을 사용한 마스크 팩으로 비타민C의 효과를 바로 피부로 느낄 수 있는 제품이다. 잘 알려져 있듯 비타민C는 활성산소로 생긴 염증과 피부 트러블을 잠재워 주는 효과가 있으며 콜라겐 생성을 자극해 잔주름을 줄이고 변색된 다크 스팟을 옅게하는 등 피부 미용에 많은 도움을 주는 성분이지만 산화작용이 강해 그동안은 화장품으로 제조하기 어려웠다. 미소월은 연구를 통해 비타민C 유도체를 이용해 산화작용을 방지하고 비타민C 특유의 자극성을 없앴다. 아이오딘(요오드) 실험을 통해 비타민 함유량을 쉽게 확인할 수 있으며 사과 갈변을 방지할 수 있는 충분한 비타민C를 함유하고 있다. ‘레모나 비타테라피 마스크’는 비타민C 유도체와 레몬, 까무까무열매, 비타민나무 추출물이 함유된 에센스로 푸석한 피부를 광채 나는 피부를 가꿀 수 있고 자몽추출물, 꿀추출물 등 자연유래 성분이 과도한 피지분비를 조절해 유수분 밸런스를 맞춰 매끈한 피부결을 유지하는데 도움을 준다. 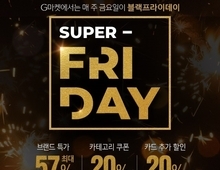 또 천연보습인자를 함유한 쇠비름추출물이 피부에 수분을 공급해 주며 텐셀 100% 자연유래 시트를 통해 피부에 밀착돼 에센스를 효과적으로 전달한다. 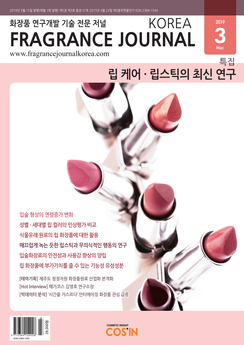 미소월 관계자는 “저자극 고성능이 미소월의 경영방침이라며, 비타민C 특유의 얼굴 따가움을 없애기 위해 긴 시간 연구한 결과다”고 말했다. 그는 이어 “각 나라 바이어들로부터 주목을 받고 있으며 1차 생산량 완판 이후에도 많은 해외 바이어들의 구매 의사가 이어지고 있다”고 말했다. 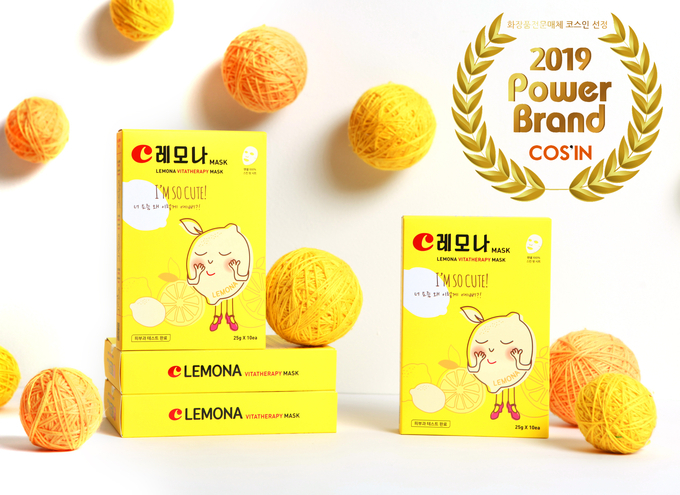 ‘Lemona Vitatherapy Mask’ from ‘Misowol (CEO Jeon, Hye-ji) was selected as a 2019 Power Brand in the mask category. ‘Misowol’ means a beautiful and young moon in Korean. The company was named after the idea that people who lead their lives with passion and dream resembles the moon’s way to becoming a full moon, with the hopes of providing consumers with daily moments filled with their own beauty. ‘Lemona Vitatherapy Mask,’ a product created through the collaboration with perhaps the best known vitamin supplement in Korea, uses vitamin C derivatives and natural origin extracts to prevent the oxidation of vitamin C and directly deliver the benefits of vitamin C to the skin. 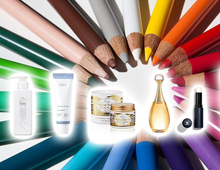 Vitamin C, as many may be aware, is very beneficial to skin by helping alleviate inflammation and skin troubles due to active oxygen, reduce wrinkles by facilitating collagen synthesis, and lighten discolorations and dark spots, but has been an unstable ingredient to commercialize through cosmetic products due to its strong tendency to oxidize. 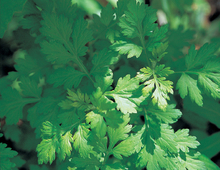 Through its exclusive research, Misowol has succeeded in preventing oxidation and removing the irritation that has once been thought to be inseparable from vitamin C by using vitamin C derivatives. The product contains sufficient amount of vitamin C, which can prevent the oxidation of apples. The content can be checked easily through an iodine test. 'Lemonade Vita Therapy Mask' is an essence containing vitamin C derivatives and lemon, camu camu fruit, and vitamin tree extracts that transforms dry skin into well-hydrated, radiating complexion. Natural origin ingredients such as grapefruit extract and honey extract controls excess sebum to maintain ideal moisture balance to keep skin smooth. In addition, Portulaca oleracea extracts, containing natural humectants, supplies moisture to skin, and the 100% natural origin TENCEL sheet adheres perfectly to skin, effectively delivering the essence into skin. 7맞춤형 화장품 제도, 새로운 시장 창출할 수 있나?